Custom Manufacturer of Short Run Metal Stampings, Production Quantity Metal Stampings & Custom Quality Laser Cutting. Small Quantities New Jersey Inc. supplies custom short run metal stampings, low volume metal fabrication and high quality cost effective laser cutting to companies and businesses in most industries. SQNJI will provide the customer with total support throughout the process, starting with the initial quotation request all the way through the shipments of product. When choosing a metal stamping supplier consideration should be made to critical components. On time delivery, quality and cost of product are vital to our customer’s success. With over 50 years of manufacturing experience, SQNJI has the expertise, knowledge and ability to take on all types of custom metal stamping, metal fabrication and laser cutting. Contact SQNJI today for your short run metal stamping, low volume metal fabrication and laser cutting needs. You’ll be glad you did! 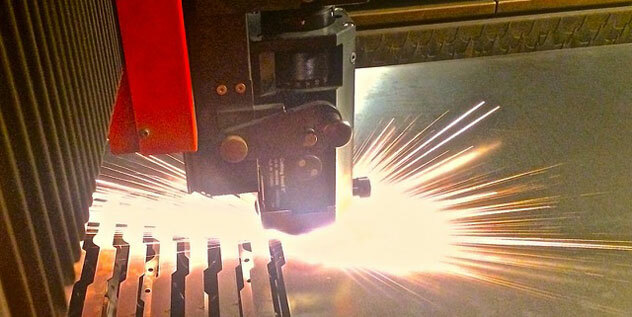 Here you can watch a short video of our AMADA Laser Cutting in action. A different view of our AMADA Laser Cutting machine.